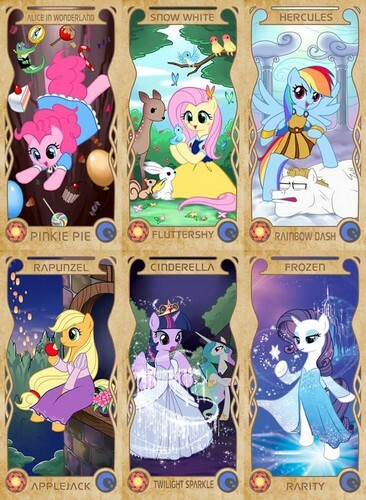 The Mane 6 as Disney Princesses. . HD Wallpaper and background images in the My Little Pony - Friendship is Magic club tagged: photo frozen cinderella tangled snow white alice hercules mlp ponies crossover disney mane 6.